'Angelito' star Sam Concepcion went to a high school prom Saturday night, February 25, 2012, at the EDSA Shangri-la Hotel. 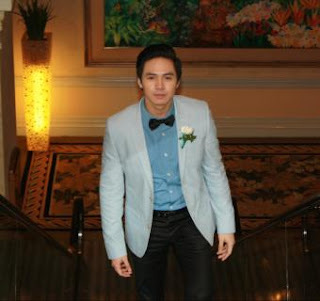 Sam Concepcion was seen at the 2012 Juniors-Seniors Promenade (Prom) of Reedley International School posing as prom date for a Senior student, his close friend and childhood crush Tippy dos Santos. Sam was (as always) lookin' awesome in his prom wear while Tippy (just like in her Skin White TVC with Ivan Dorschner) looked so beautiful in her prom dress designed by dance diva and fashion designer Regine Tolentino. Sam Concepcion and Tippy dos Santos definitely looked good together and were both gorgeous at their prom date, thus it isn't surprising if they were the ones crowned Prom King and Queen at the said event. gene_lc: "Sam & Tippy were not crowned prom king & queen. But they had a great time and they definitely looked good, too, at the prom night. 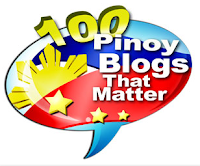 :)"
Both former Trumpets Playshop kids, Sam and Tippy were paired already in the musical play 'Peter Pan' last October and again in the upcoming musical movie 'I Do Bidoo Bidoo', topbilled by Ogie Alcasid, Gary Valenciano, Zsa Zsa Padilla and Eugene Domingo.